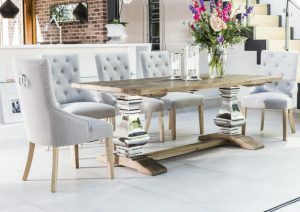 Grosvenor Furniture offers one of the most inspired collections of home furnishings in the UK. We pride ourselves on offering high-quality and bespoke furniture straight from the manufacturer. Grosvenor Furniture was founded by Simon Latham in 2003. After working with his parents, who have been in the furniture industry for over 40 years, he decided to branch off and set up his own company importing high end furniture. He now has become a successful online furniture retailer and over the years has built up a very good relationship with manufacturers.